Flamingo is a render plugin for Rhinoceros. Rendering with Flamingo nXt 5 allows you to easily create stunning, life-like images from your 3D models. 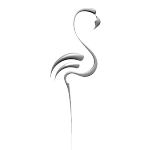 The Flamingo 3D plugin is fully integrated in Rhino. Flamingo is especially useful for those who need a nice image every now and then and don’t want to spend too much time on it. When you want to render at the highest leven and spend much more time in making visualizations, please take a look at the V-Ray render plugin then. For more information, go to the technical details on the Flamingo website. See lots of examples of visualizations with Flamingo here. Try the evaluation version. The evaluation version’s resolution is limited to 640×480 pixels. It also watermarks the final rendered image. RhinoCentre’s client Cosco Heavy Transport, asked us to model several vessels of their fleet and set up the render settings in Flamingo. This way they are able to use the 3d models for designing transport projects and also render them for presentations. The level of detail of the 3D model is the basis for a more realistic image. Another decisive factor is the lighting setup.